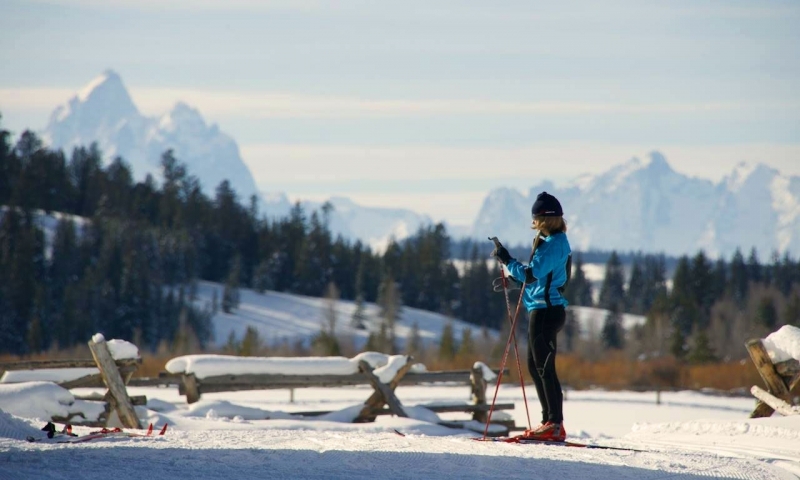 Grand Teton National Park offers a wide variety of cross country ski trails, accessible from many different areas of the park. Naturalist guided cross country ski tours in Grand Teton Park. Enjoy winter solitude and explore. Water, snacks, and transportation provided. Where can I go cross country skiing within Grand Teton National Park? 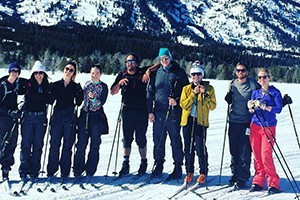 Jenny Lake Trail: This 8 mile round-trip ski tour follows the snow covered Teton Park Road for a short distance before veering left. It is flat and mellow. Taggart Lake Trail: From the parking area head directly west and through rolling foothills to Taggart Lake. The undulations of this trail make it for more advanced nordic skiers. Phelps Lake: This 4.8 mile round-trip trail follows the Moose-Wilson Road before heading west in a small loop to access Phelps Lake. Go back the way you came or complete the loop and head back along the road. Death Canyon: Follow the Moose-Wilson Road north for roughly 3 miles and then head west into Death Canyon. Follow the snow covered road for as long as you like. You can also access this trail via Moose to avoid having to ski along the Moose-Wilson Road. Signal Mountain Summit: From Signal Mountain Lodge, the round-trip trail to the summit of Signal Mountain is 12 miles and considered difficult due to 900 feet of elevation gain. The views from the top are fantastic. There are a handful of smaller loops that leave from the closed Colter Bay Visitor Center, accessible via Highway 89 and north of Moran. Heron Pond: This 3 mile round-trip loop is easy to follow just south of the Visitor Center and offers pleasant views and terrain. Colter Bay Trails: From the Visitor Center, head west and take your pick of a shorter .9 mile loop or a longer 2 mile loop. 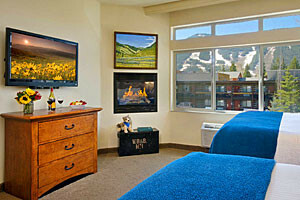 Although popular among snowmobilers, Flagg Ranch is a great place to enjoy cross country skiing. You can even access a hot springs. Flagg Ranch is located at the northern end of Grand Teton National Park, just before the road closes for winter access to Yellowstone. Huckleberry Hot Springs: The 2.5 Polecat Loop Trail accesses a number of pretty and interesting sites, including Polecat Creek and Huckleberry Hot Springs (don't forget your swimsuit and towel). North and South Flagg Canyon: On the east side of the highway, ski along North Flagg Canyon for a 4 mile difficult route or along South Flagg Canyon for a 4 mile easy route. Is there a map of the trails? Yes! 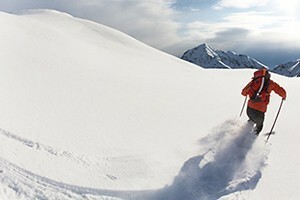 Download a pdf version from the NPS Cross Country Ski Page. Where can I rent cross country skis? Dornan's at Moose has ski rentals available in their grocery store. 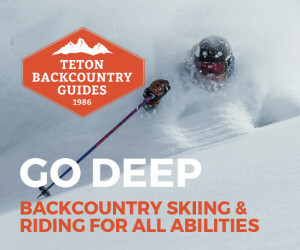 Otherwise, there are a handful of outdoor shops where you can rent gear in Jackson, Wyoming. Also be sure to check out JH Nordic for trail conditions and grooming reports. A nordic ski division in the Wyoming area offering info on trails and events. A quiet family skiing experience in western South Dakota.